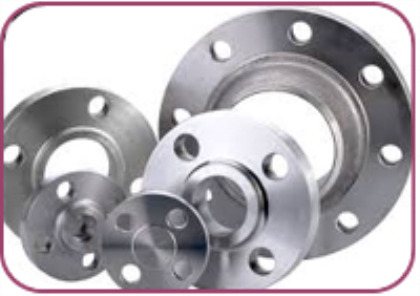 Flanges are joined to each other by bolting and joined to the piping system by welding or threading. The basic types of flanges are; Slip on, Blind, Weld Neck, Threaded, Socket Weld, Lap Joint and Orifice. Flanges are designed to the following pressure ratings; 150lb, 300lb, 400lb, 600lb, 900lb, 1500lb and 2500lb. (a) Raised face, 1/16 inch for 150lb and 300lb, ¼ inch for 400lb and heavier. (b) Flat face, for 150lb and 300lb only, other may be flat face on request. 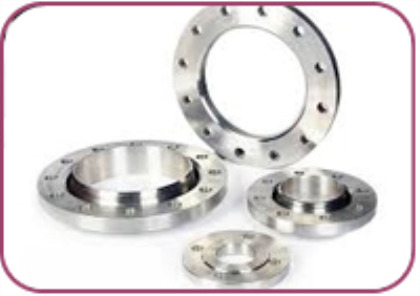 (c) Ring type joint, may be applied to all pressure ratings. FORM	SLIP ON , SOCKET WELD , BLIND , LAPPED , SCREWED , WELD NECK , REDUCING , SPECTACLE ,SLIP ON BOSS , PLATE , PLATE BLANK , SCREWED BOSS. ASTM / ASME A 105. 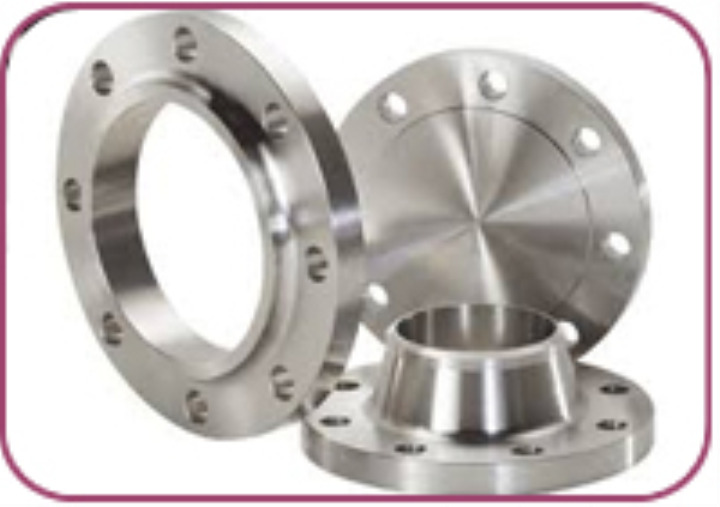 ASTM / ASME A 350 LF 2 .